Good morning surfers! 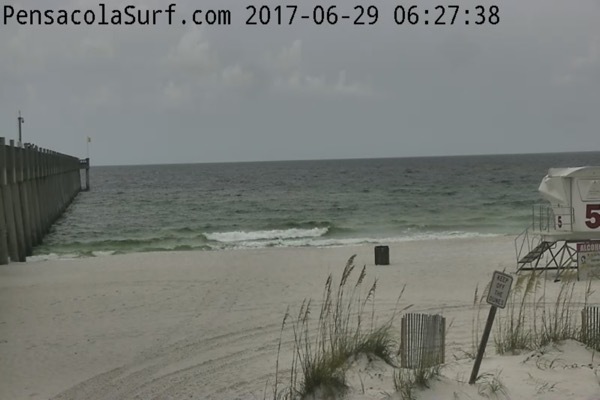 We have soggy conditions with lots of rain on Pensacola Beach currently. 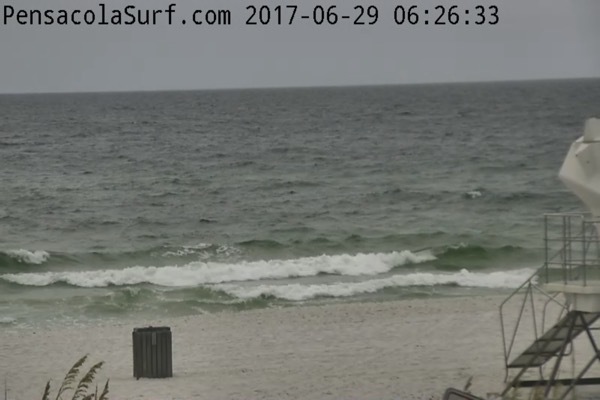 Winds are heavier today out of the Southeast at 10-15 mph. 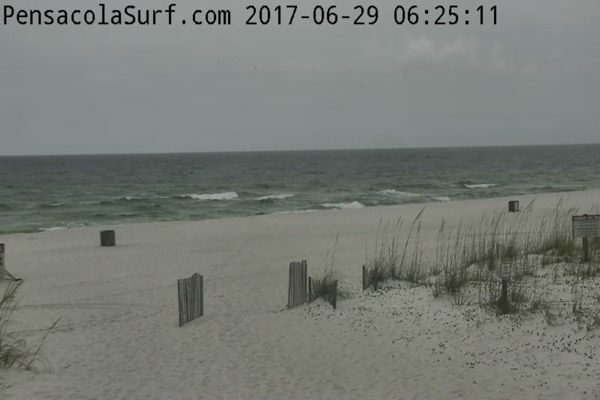 Tide will be high around 2:30 this afternoon and low shortly after midnight. 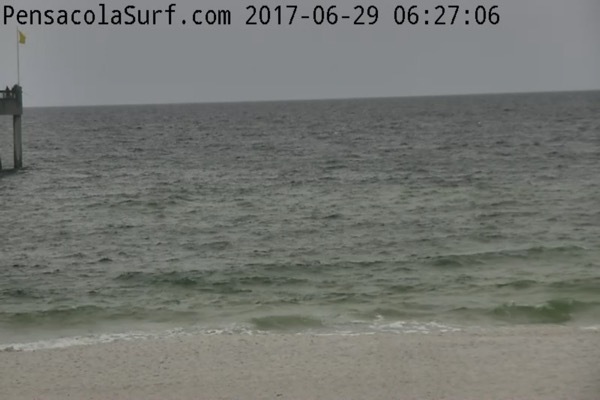 The knee high waves are trying to build, but rain may put a damper on any Beach plans you have today.